The DeVilbiss SleepCube is ideal for camping and caravan or mobile home use and is a godsend if you're in an area that experiences frequent power blackouts . 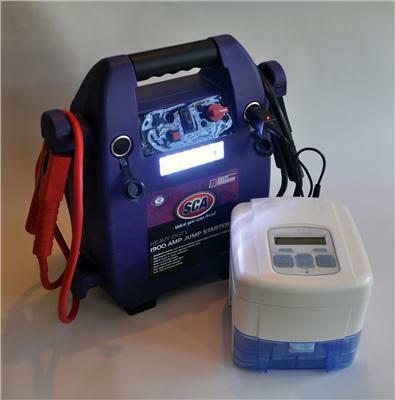 (Pictured) Is a recommendation we make for serious travellers and campers using a rechargeable jump starter pack ,easily obtained from your local automotive or camping goods store , We recommend a 1900/2000 amp jump starter (cost around $200.00 RRP) . At an average 10CMH20 CPAP pressure you will get around 40 hrs of CPAP use with the DeVilbiss SleepCube . Just Plug the DeVilbiss SleepCube into your 12v supply and off you go to a good nights sleep ANYWHERE !!! CONTACT US FOR ANY FURTHER INFORMATION .